Every time she bleeds a murderer is born. 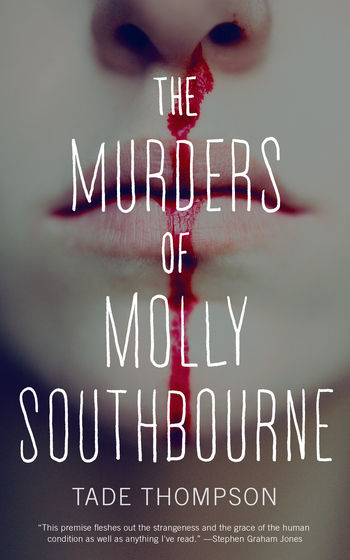 Experience the horror of Tade Thompson's The Murders of Molly Southbourne. A finalist for the 2017 BSFA Award, the 2017 Shirley Jackson Award. For as long as Molly Southbourne can remember, she’s been watching herself die. Whenever she bleeds, another molly is born, identical to her in every way and intent on her destruction.